I love a good potato. I do. However, and don't throw anything at my for saying this, sometimes I just feel like the potato has been overplayed and I want something a little different. After all, we have all of these fantastic summer produce at our disposal right now. Why are we living in the potato rut? I know what you are thinking. "But, I love the creaminess." I say if that is the only thing holding you back, I have just what the Dr. ordered. How about trying some delicious, creamy, Mashed Cauliflower? Don't let the idea scare you off. This summer side dish is down right delectable and, if done properly, I dare say you will never know the difference! Let me show you how I make it! To begin, you will need to get a pot of salted water on to boil. I usually add a tbsp. of salt. While you are waiting for the water to come to a rolling boil, you can break down your cauliflower. I don't get to particular about size here. Just make sure your florets are about the same size as what you would use to boil the potatoes. Once the salted water is at a rolling boil, add the cauliflower. Let it boil for 10-15 minutes until fork tender. Drain the cauliflower WELL and add it to your mixing bowl. Using a fork or potato masher, mash the cauliflower. You can eat it just like that if you want, but I tend to like mine a little creamer so, using a hand mixer or emergent blender, buzz it up to the consistency of your liking. Next add the season salt and pepper. Taste. If it needs more salt, add a little kosher salt. Mix well with a rubber spatula. And there you have it! PERFECTLY mashed cauliflower! It is absolutely delicious! My husband, who is an avid meat and potatoes guy, actually requests this dish! I promise your family is going to love it! And hey, if you don't want to tell that it is not really potatoes...Your secret is safe with me! Bring a pot of salted water to a rolling boil. Break down the head of cauliflower into florets of equal size. Add to the boiling water and cook for 10-15 minutes until fork tender. Drain the water off of the cauliflower and add to mixing bowl. 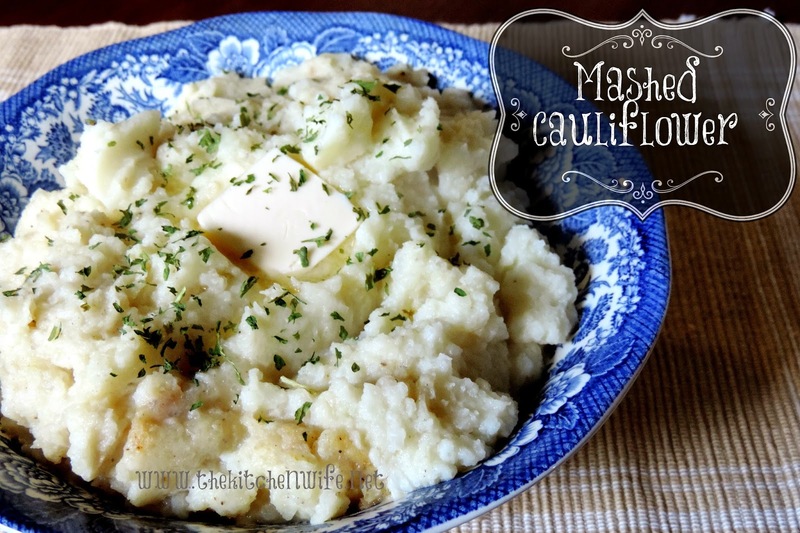 Mash the cauliflower with a fork or potato masher. For creamier texture, gently blend with hand mixer or emergent blender. Add milk, butter, season salt and pepper. Taste for seasoning. If needed add kosher salt.